UDAP, a Universal Decentralized Asset Platform, is a blockchain middleware that provides Restful APIs and an ‘Asset Wallet’ for application developers to create powerful blockchain based applications without writing any smart contracts. It’s a ‘layer two’ solution to non-fungible assets to simplify and accelerate blockchain application development. UDAP is a blockchain-based asset protocol that sits between applications and public blockchains to provide Restful APIs and an “Asset Wallet” for application developers to create powerful blockchain based applications without writing any smart contracts. In what we call a “Asset Oriented Programming” model, app developers take advantage of the traditional Internet application architecture and use UDAP as a layer of asset tokenization, transaction notarization and contract adjudication in case of dispute. Token service, to manage the full life-cycle of asset-backed crypto-tokens. Applications can immediately register token-based assets on chain and offer built-in marketplace to their customers. State channels service, to allow applications to conduct transactions mostly offline and secured by public blockchains, such as Ethereum. Data obfuscation service, to hide the ownership of assets, using Ring Signature technology. Secure content distribution for digital content assets, using Proxy Re-Encryption technology. Exchange service, for decentralized asset trading, including app-currencies and asset tokens. Universal wallet for versatile mobile user interface to deal with any token-backed assets that UDAP has helped to maintain. The Singular project is a natural development in the spirit of some of the earlier blockchain proponents who had envisioned what blockchain with smart contracts would achieve. The fundamental concept of the Internet of Asset Protocol is to build a “Thick Protocol + Thin Application”. Application developers only need to have sufficient knowledge and understand their business logic and user experience, Therefore, the application is thinner and easier. A thick protocol based on UDAP middleware helps them to accelerate the blockchain development, to secure the transactions, and to reduce the development costs. The service helps applications to quickly tokenize in-app assets, such as tickets, IP rights, certificates, and game assets. It also helps an application to create in-app currencies. The service implements state channel technology to help the application to properly partition their application logic between on-chain and off-chain, to achieve the best of off-chain efficiency and on-chain persistence. This is critical to minimizing the cost and providing the best possible user experience. Harvest Wallet is an Asset Wallet that supports ERC20, ERC721, and Singular types tokens. It provides individual users with great convenience and a unified interface to tokenize, manage and publish their own tokens, various fungible and non-fungible assets, and third-party applications can plug-in the wallet too. b) Support third-party apps that generate wide range of assets. UMedia is a marketplace for collectible music and other forms of digital media assets on your mobile phone, it included some complicated blockchain programming modules like all different token services, marketplace, Proxy Re-Encryption, State Channel, Singular. UMedia is to demonstrate the technical capabilities of UDAP. It’s so easy to make a Dapp by UDAP. Developers can use UDAP’s middleware to transfer their normal business into token-based business just like UMedia does. More different Dapp coming powered by UDAP, such as Ticketing, Social, Education, Gaming, Health, Supply Chain Finance, Data Center, Technical Community, Travel, E-Commerce, Library and so on. 2017 Q2 – PROJECT KICKOFF. Q4 2017 – RESEARCH COMPLETED, Coding started, Core Team built up. Q1 2018 – UDAP FOUNDATION LAUNCHED, Technical white papers released, Started coding Proof-of-Concept prototypes and demos. Q2 2018 – UDAP CONCEPT COMPLETED, Expand eco-system and community. Q3 2018 – UDAP MINIMUM VIABLE PRODUCT(MPV) DEPLOYED AND RELEASED, State channel modules complete, Harvest Asset Wallet (MVP) released, First app – UMedia (MVP) released. Q4 2018 – UDAP MIDDLEWARE V0.4 RELEASED, Harvest Asset Wallet & UMedia officially released. Q2 2019 – UDAP MAINNET INFRASTRUCTURE V0.5 BUILT AND SHARED, More business partner’s application released. Q1 2020 – UDAP MIDDLEWARE V1.0 OPERATED, C2C Asset Marketplace operated. 5,000,000 UPX Coin will be distributed through this Bounty Program. Any Campaign participants who want to review their calculated rewards is welcome to submit a final submission form which will be made available on UDAP.io along with our proposed rewards. All rewards will be paid 30 days after the end of the UDAP ICO. When participating in the Bounty Program, you will need to submit your Ethereum wallet address. Please do not use any exchange wallet address (such as Coinbase/GDAX,Bitstamp, Kraken, Bittrex, Poloniex and etc.) as you don’t hold the private keys to your wallet on an exchange. MyEtherWallet is highly recommended. It is also very important to always keep your private keys secure by never giving them away to an untrustworthy site or third party. 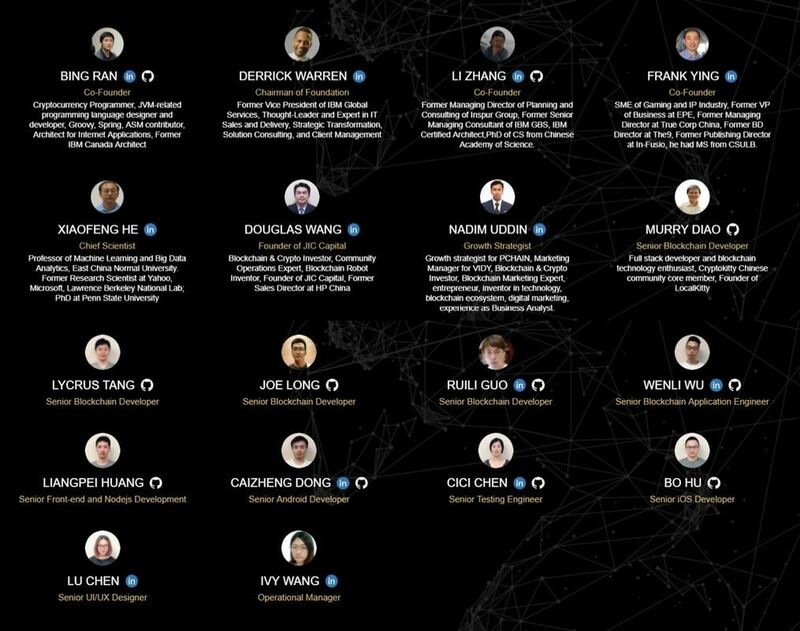 The UDAP team will never ask for your private keys. 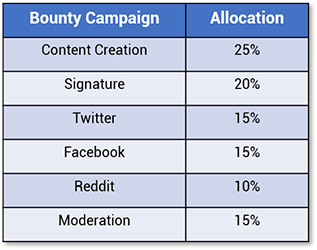 Please review the terms of the Bounty Program before you start. UDAP Foundation reserves the right to change these terms or rules at any time, and you agree to abide by the most recent version of this document. Blog posts must have at least 250 words and forum posts must have at least 100 words. Spamming/posting in wrong subforums will not be tolerated. Posts deleted or closed by the forum’s administration will not count. The stakes will be counted from the moment each user submit the participation form and get approved. After their approval, participants are not allowed to change their signatures until the end of the campaign. Random check will be made and those who will be found doing this will get immediately disqualified. All posts must be made in “Alternate cryptocurrencies” or “Trading Discussion” sections of the forum. Posts in the off-topic threads will not get counted and spamming and trolling of all kinds will simply get the participant disqualified. Participants must have at least Jr. Member rank in the forum. If the member acquires a new rank, they should change the signature accordingly. Posts on local boards are allowed but no more than 20% of the total amount. Multiple accounts registration is forbidden. Checks will be made along the process and every multiple account will be delisted. Stakes will be paid depending on followers (at the start of the campaign).